Deterioration caused by the nature of materials is known as Inherent Vice , while deterioration caused by external forces is is known as the Ten Agents of Deterioration . Note that PC(USA) congregations, mid councils, and national agencies can deposit their permanent records in the society's secure, climate-controlled archives for free and have their records digitized  at a subsidized rate. 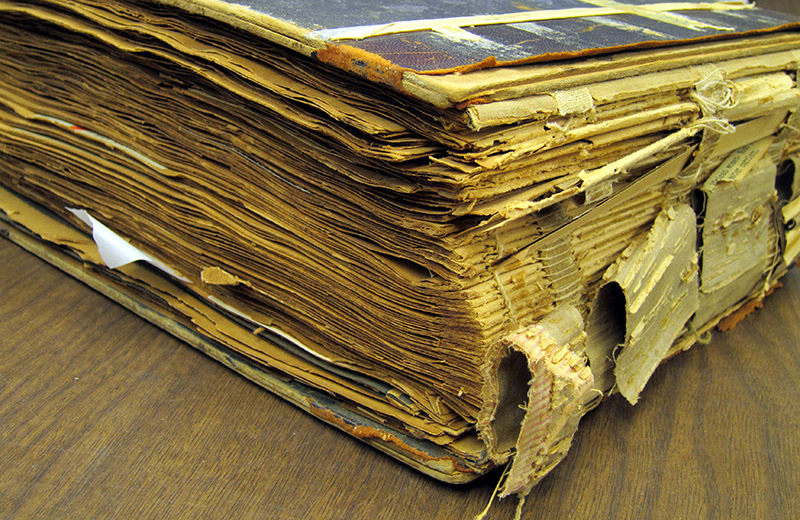 The Northeast Document Conservation Center  (NEDCC) provides free resources on preservation, including Preservation Leaflets , articles, curricula , disaster planning templates, and more. The National Park Service  (NPS) provides free Conserv-O-Grams , a Museum Handbook , and other publications on preservation topics. The Conservation Center for Art & Historic Artifacts  (CCAHA) provides technical bulletins on preservation topics. Heritage Preservation  provides free downloadable resources as well as a store  where you can purchase books and other collection care resources. The Institute of Museum and Library Services  (IMLS) has created Connecting to Collections: A Call to Action, a multi-year, multi-faceted national initiative to raise public awareness and inspire action. IMLS provides free resources, a discussion board, and access to webinars through the Connecting to Collections online community .